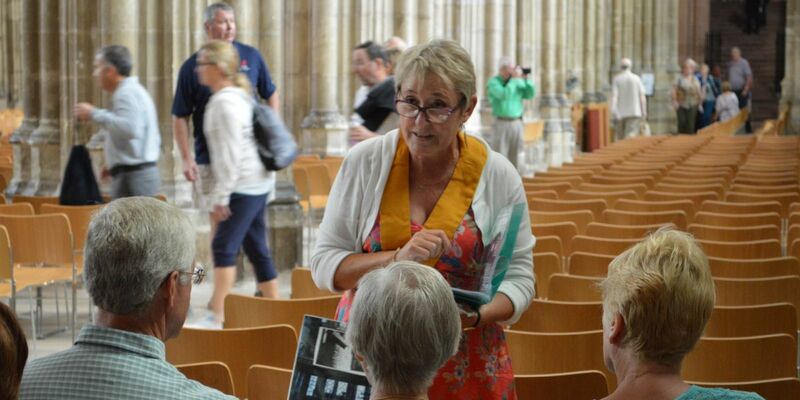 Our wonderful volunteers will be providing a daily insight into the Cathedral’s rich history, drawing on their expertise and vast knowledge, with a varied programme of new 15-minute talks which will be held at regular intervals for visitors, residents and members of the Cathedral community to enjoy. Covering a wide variety of topics, from Thomas Becket to Graffiti, Modern Art Installations to Cathedral Cats, there really is something for everyone. Meeting point for the talks is in the south aisle of the Nave at quarter past the hour, as below, Monday-Saturday or 13.00 and 13.30hrs on Sunday. Talks are free, but normal Precincts charges apply. More talks may be added on the day.